Carnevale, aka Carnival, is celebrated in many places around the world, 40 days before Easter, a final party before Ash Wednesday and the restrictions of Lent. 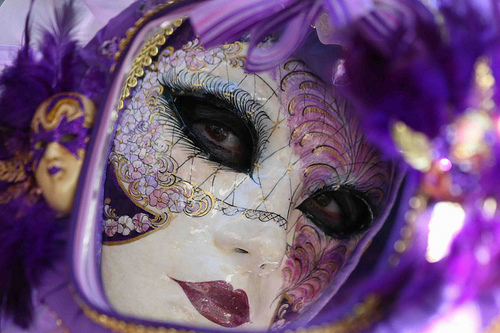 Throughout Italy, Carnevale is a huge winter festival celebrated with parades, masquerade balls, music, and parties. 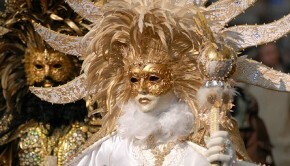 But Venice’s Carnevale, is definitely one of the most exciting things you may ever experience in your life! Although Carnival is actually one date (this year is February 19), in Venice – considered the Italian Capital of Carnevale, preceding even Viareggio, Tuscany, and Acireale, Sicily – celebrations and parties may begin a couple weeks before. This year 2012, Venice’s Carnival celebrations will start on February 4th – with the Grand Brindisi by the Wine Fountain, which opens the Carnival with a Grand Toast, masks, costumes and dances – and last until February 21st, the day of Mardi Gras, during which the party will reach the climax, to end with the Vogata del Silenzio (Stroke of Silence), when the Grand Canal will be lit up with hundreds of candles, while the Gondolas move from Rialto to St. Mark Square to wave Carnival goodbye. But let’s go with order, because between these two dates, there will be plenty of entertainment for everyone! A not-to-be-missed event, for example, is the traditional Flight of the Angel, scheduled for Sunday, February 12, where a secret guest will fall along a rope from San Marco bell tower, down to the the middle of the square. 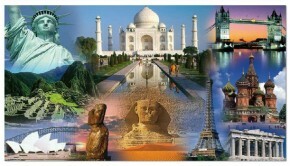 On February 19, instead, there will be the Flight of the Donkey, a parody of that of the Angel.